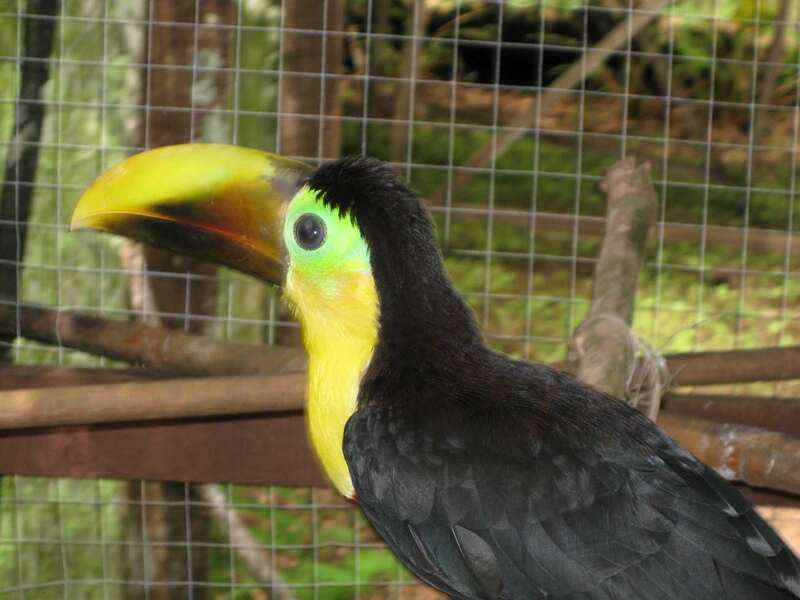 It is illegal to take toucans or any other protected wild bird species from their nests. Chestnut-mandibled toucans are often kept as pets. This toucan was kept in a very small cage and because of the limited space broke its own bill. Here at Tree of Life the toucan had the time and space to heal again and is now much better. Their colorfulness and intelligence make toucans one of the most species of birds to own.